Of course, living in Texas…we know all about good BBQ. 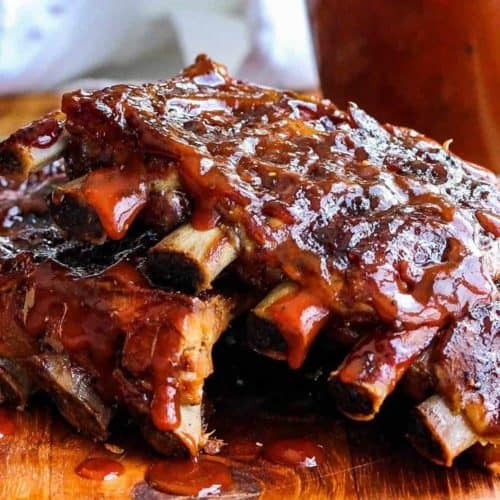 These aren’t slow-cooked with indirect heat from a smoker…BUT…trust us, these gems are still fall-off-the bone good, with so much flavor, you’ll throw your hat in the air, and yell: YEE HAW!!! The great thing about the slow cooker is you just set and forget…until they are almost ready to eat. We just love pork baby back ribs. The slow cook method makes them tender and so delicious. Ask your butcher to remove the membrane on the underside of the ribs. 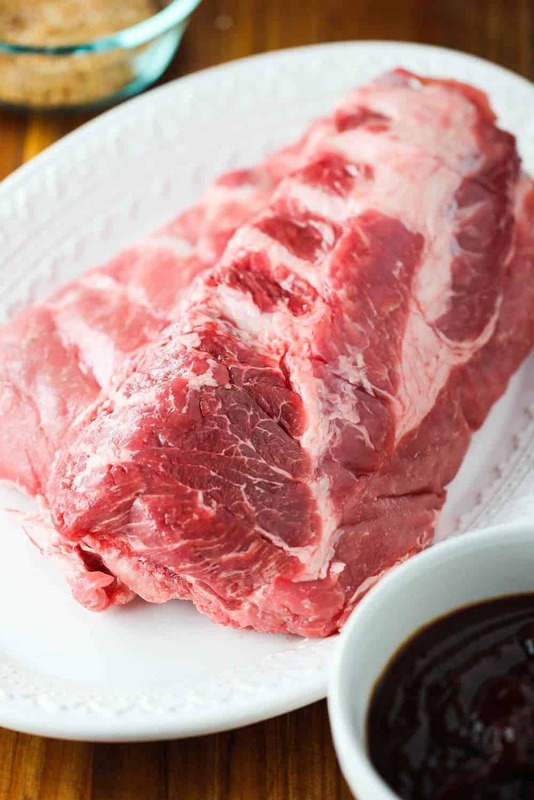 The rub for these Slow Cooker Ribs is so simple to prepare, but makes all the difference in the world for authentic slow cooked ribs taste. 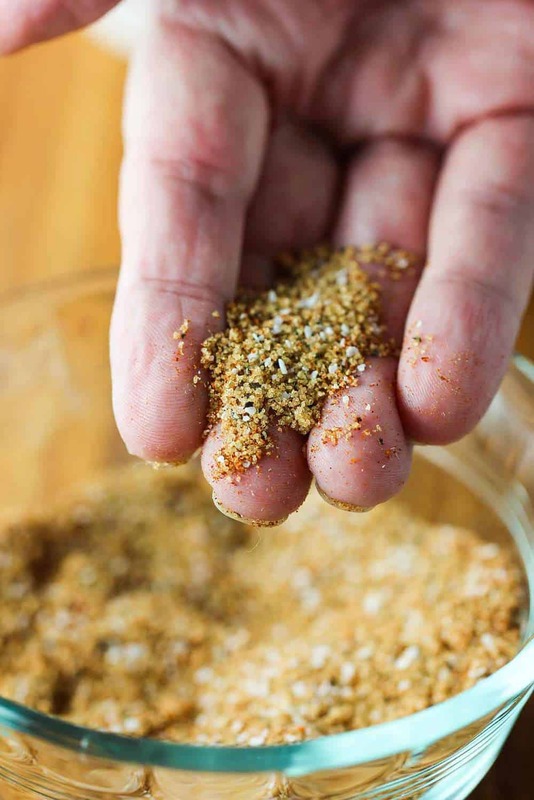 You get a little sweet with the brown sugar, and a little heat with the chili powder and cayenne. The perfect rub for these ribs. 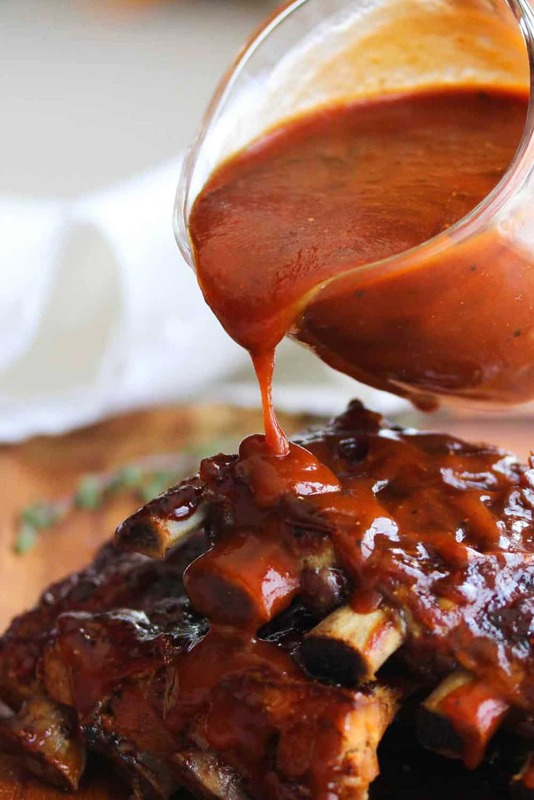 And making your own Homemade BBQ Sauce could not be easier, and the taste is authentic and just perfect for these ribs. Once you try this sauce, you’ll never buy the bottled stuff again. It’s that good, and so simple to make! 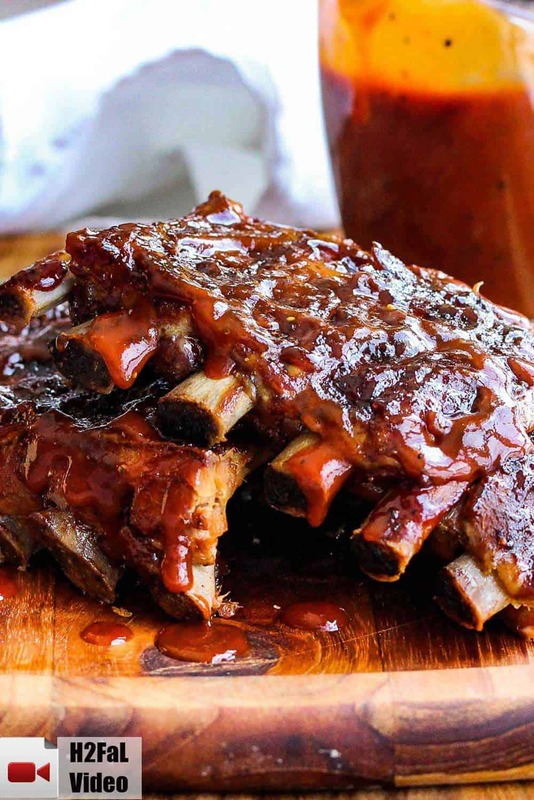 This incredible slow cooker baby back ribs recipe couldn't be easier, or more amazing on flavor. Don't have a smoker to cook your ribs?...here's the next best thing. 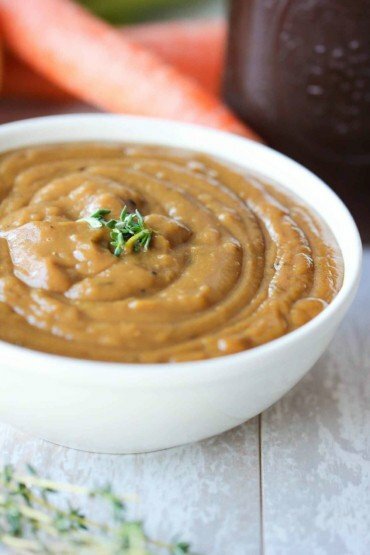 So easy, and so fall-off-bone delicious! Combine the brown sugar, paprika, salt, thyme, black pepper and cayenne. Place ribs in slow cooker and cover. Cook on LOW for 7 - 8 hours, or until ribs are tender. Make the Easy BBQ Sauce. Remove ribs from the slow cooker and discard the liquid. Turn your broiler to low, or, turn your slow cooker to high. Coat the ribs with the sauce and place under broiler (or back into to the slow cooker). Cook under broiler for about 2 minutes, remove, re-coat with another layer of sauce, and cook for another couple minutes. OR, let ribs cook on HIGH in slow cooker for 30 minutes. Remove and serve at once, with additional BBQ sauce! OMG! Fall off the bone tender! So good and the BBQ sealed the deal! Ok guys I’ve never made baby back ribs ever and so I’m trusting you. I mixed up the rub spices and it smells amazing. I am making them Tuesday. Wish me well! OMG A M A Z I N G ! I was a super hero only without a cape. Thank you soooooo much. The BBQ sauce had just the right amount of bite..
Can you broil before putting in the slow cooker? Hi Kris! I’m making these tomorrow while I’m at work and I seem to have a real gift for burning and/or drying out meat in the crock pot. 🙁 Will these be okay all day while I’m at work? You won’t burn them, I promise! How did they turn out? They were absolutely fabulous!! I didn’t realize until this morning when I went to put them in the crock that I’d purchased beef ribs instead of pork but by that time I was committed, and I have to say, even with the substitution, they were ridiculously good! Thanks so much for the great recipe!! those are some darn fine looking ribs! I’ve cooked so many other things in the slow cooker I don’t know why ribs didn’t occur to me. This might just hold me over until I take the cover off the smoker in a few weeks. great looking site too, glad I found you via tastespotting! Hi Melinda! They are crazy good, and unbelievably easy. I hesitated at first putting them on the site, cuz growing up in Texas…I know how ‘real’ ribs are prepared…but these were just so good, I decided to publish it. 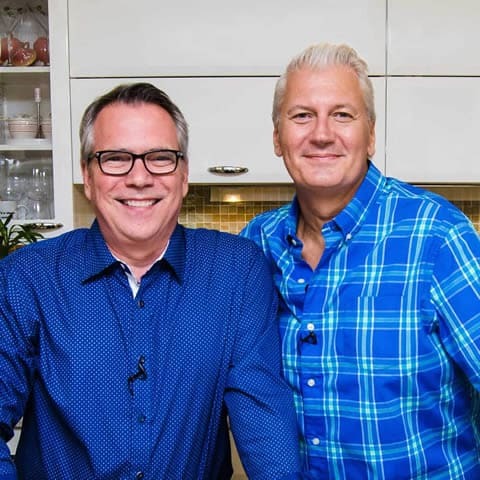 Glad you like the site and we absolutely LOVE http://www.recipefiction.com. Beautiful! We’ll visit often. All the best. Kris & Wesley (The Loon).